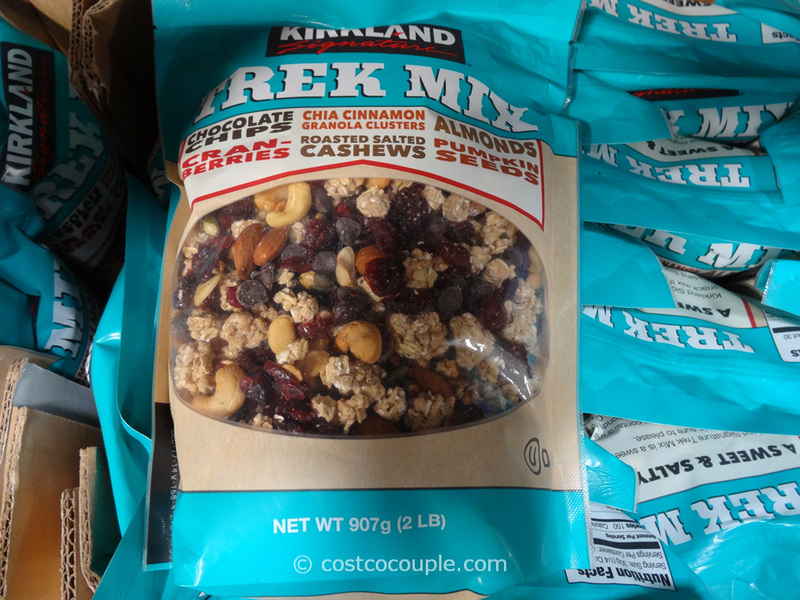 For some reason or other, Costco has been offering only dark roast coffee beans in the San Jose area stores. 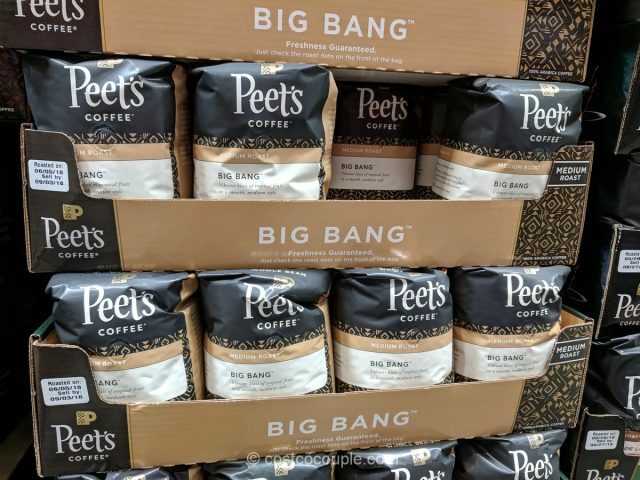 The Peet’s Coffee Big Bang Medium Roast Whole Bean coffee is the first medium roast option that we’ve seen in a long while. 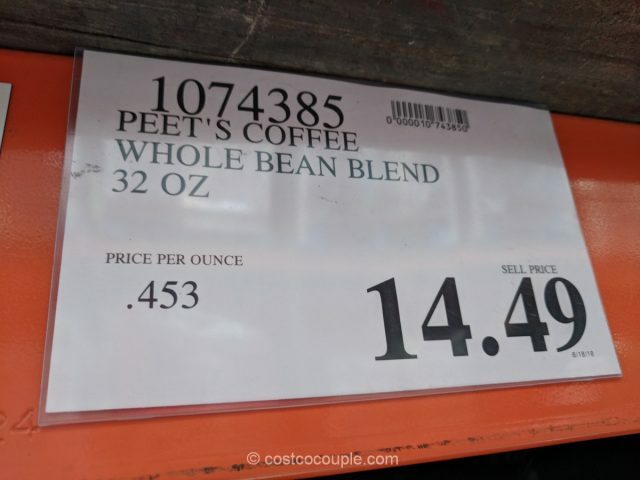 We prefer medium roast coffee so we’re happy to see that Costco is finally offering an option besides dark roast in the store. 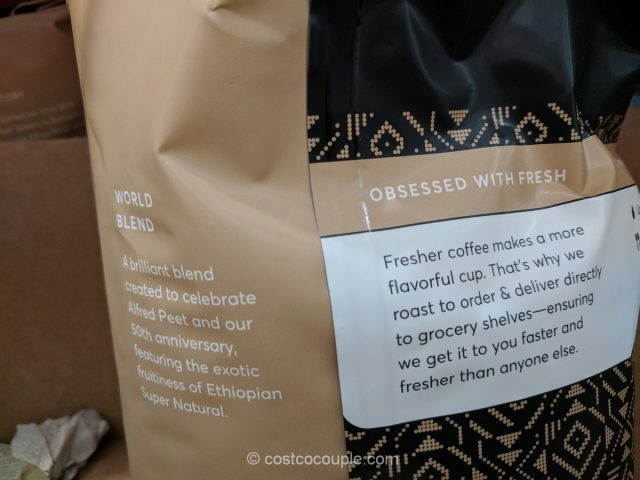 This blend is described as having a vibrant fruitiness of the Ethiopian Super Natural. 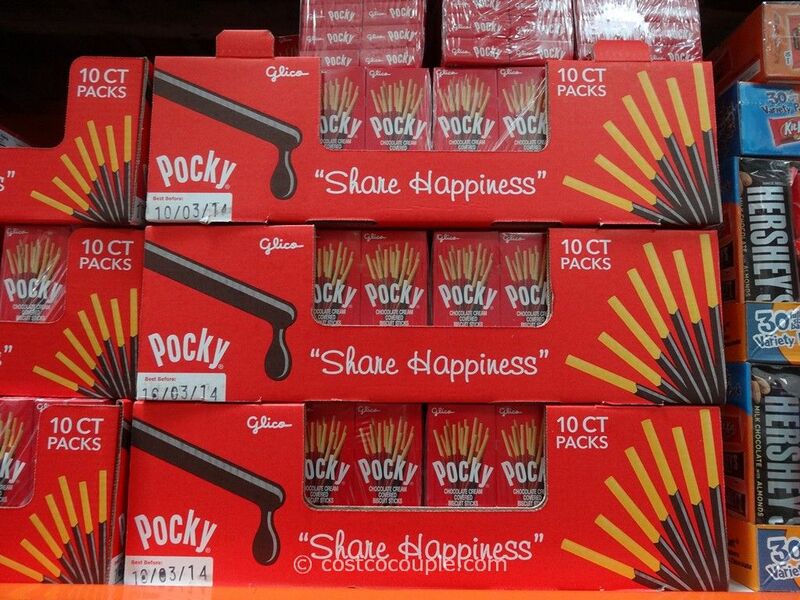 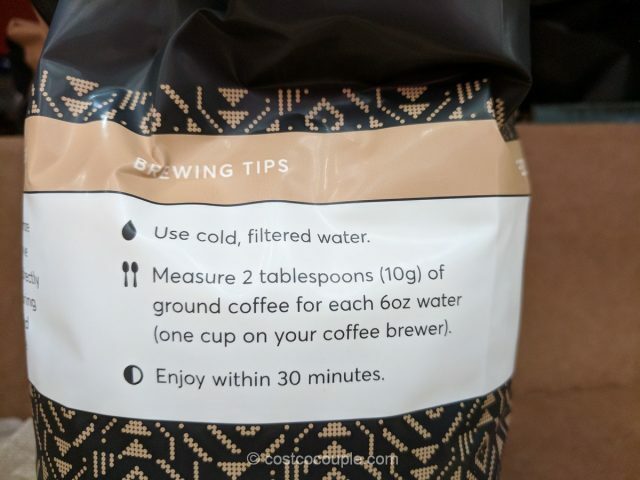 We’ve seen this at Target for about $5.99-6.99 for a 12 oz bag. 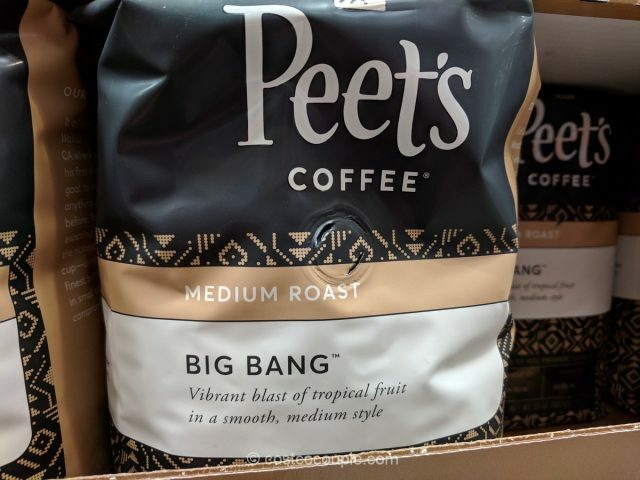 Peet’s Coffee Big Bang Medium Roast Whole Bean is priced at $14.49 for a 32-oz bag. 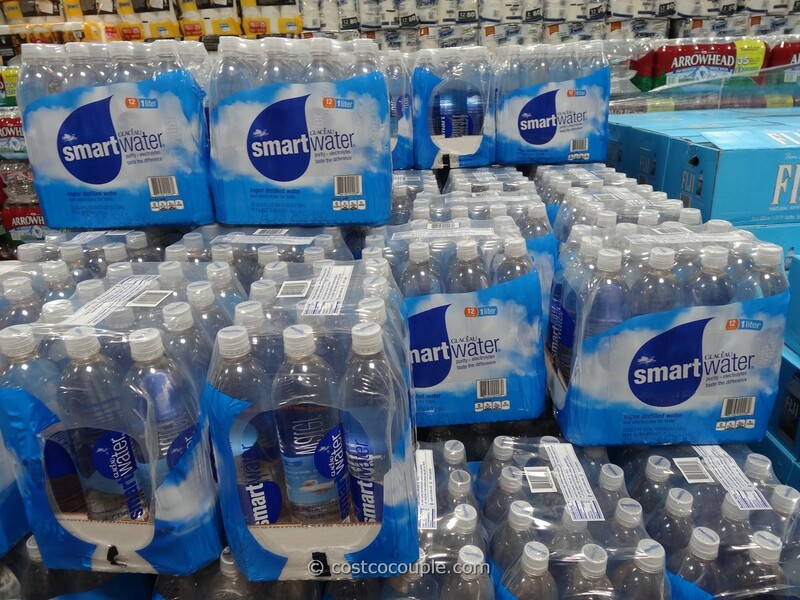 Unit price is 45.3 cents/oz or $7.245/lb.